As the mornings start to get a little brighter, we can all begin dreaming of those long summer evenings, weekends in the park and refreshingly simple bookkeeping – we know you dream about that too, don’t lie! Today we’re dropping our latest Pandle Mobile development – to put an extra bouncy spring into your step this March. We are constantly striving to incorporate the same features into Pandle Mobile which are currently available on our web app, allowing users the same level of control whether they decide to do their bookkeeping in the office, in bed or lying on a beach. OK admittedly the last one is unlikely, but it’s good to dream! Which is why we are pleased to announce a range of new editing tools in Pandle Mobile, enabling users to make quick bookkeeping changes on-the-go. Users can now edit their saved quotes and invoices in Pandle Mobile, just like they can with the web app. Now, if you spot an error on a time-sensitive quote, you rectify it immediately via your smartphone, before sending it to your customer. Previously if users needed to correct a mistake on one of their quotes or invoices in Pandle Mobile they would have had to create a whole new invoice, then log in to the web app to delete the older version. We realise that this was counterproductive to everything we stand for here at Pandle; simple and efficient bookkeeping. This latest development enables users to easily manage and maintain their accounts whenever, wherever. Before making the changes they require and clicking save. Simple? Good! That’s how we do things here at Pandle. We couldn’t just stop at editing invoices and quotes now could we? Building upon this work, we have also added the ability to edit customer and supplier details in Pandle Mobile. Now with our latest update if a user receives an email from one of their customers or suppliers, informing them that their address or contact details have changed, they can quickly update this on-the-go. This will leave users more time to focus on the key aspects of their business, enabling them to wrap up time-consuming administrative tasks as quickly as possible. 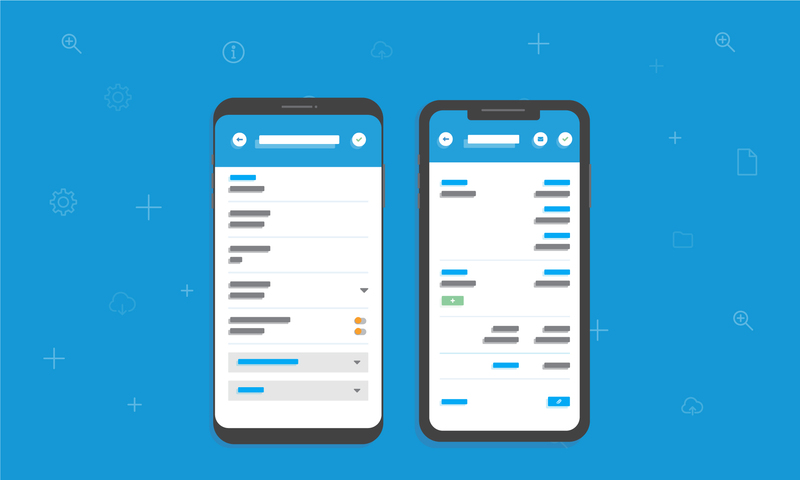 These latest updates to Pandle Mobile have helped to improve the general day to day usability of the app, and we hope that this update will allow even more users to begin incorporating it into their everyday bookkeeping. If you have any feedback on this latest update, or the app in general then we would love to hear from you! Drop us a comment below or email support@pandle.com.